FARM KING UNLOADING AUGERS TRANSFER GRAINS AND OILSEEDS MUCH FASTER THAN CONVENTIONAL UTILITY AUGERS AND REACH WHERE NORMAL PORTABLE AUGERS CAN'T. 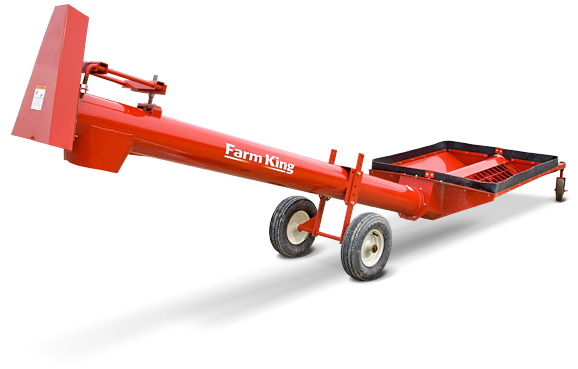 The hopper of the unloading auger fits under hopper bottom bins and hopper trailers for fast and easy unloading. Tube Width 8" 8" 10" 10"